This word is often mispronounced but however, you pronounce it this card is beautiful. 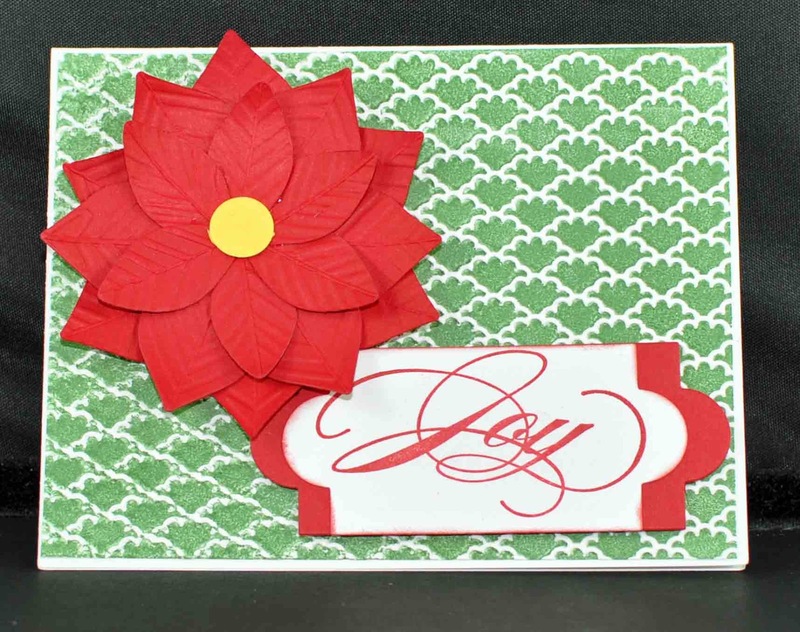 The poinsettia was created using the Blossom Petals Builder Punch. to create the cool leaves. plate to score lines with the petal still folded. 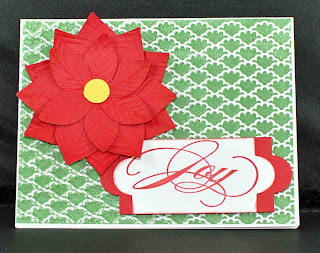 Fancy Fan Embossing Folder, (Use brayer to ink of one side of folder with garden green ink and place card stock inside and use Big shot to emboss. This is my kind of Poinsettia. It doesn't require any water.